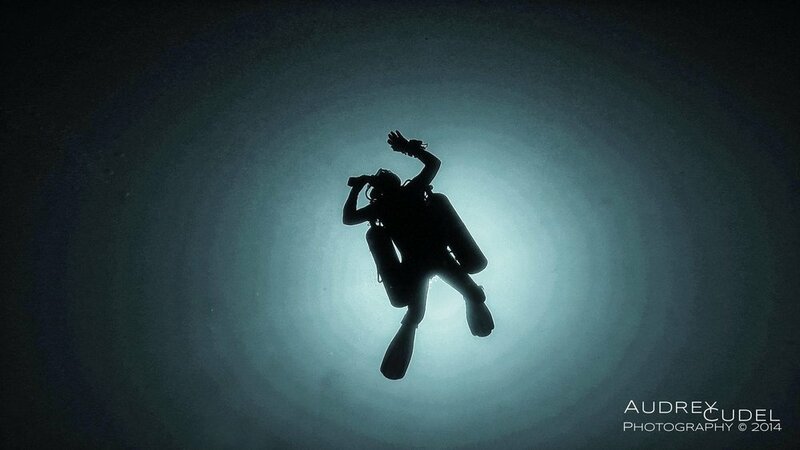 As part of the course, we also enhance all the diving basics you have been learning so far using other configurations. Land Workshops including equipment configuration review (Sidemount system, cylinders choices, rigging, regulator set up ) & communication. Theory covering pre-dive planning, gas choices, gas management, SAC rate calculations & gas matching. In water skills focusing on water entries/exits options, cylinder donning & doffing, buoyancy, trim and propulsion techniques, wing / gas management, positioning, cylinders management, gas sharing and rescue & all potential equipment failures. Land Workshops : Technical finning techniques, regulator switching options, SPG check, cylinders trim check, Team work, problem solving and ‘what ifs’ pre-dive planning & communication. Theory : pre-dive planning, runtime preparation, gas choices, gas management, SAC rate calculations & gas matching. In water skills : water entries/exits techniques (including boat diving), equipment matching, S-drills, weight / trim checks, wing / gas management, controlled ascent and descent techniques, proper hand placement and reflex response development to surprise equipment failures, advanced buoyancy / trim control, advanced propulsion techniques, long hose management, team positioning, advanced navigation, timed SMB deployment, rescue including ascents with unresponsive divers. Sidemount is more than a configuration on its own. It appeared back in the 1950s in the UK for cave exploration purposes and has spread world wide throughout the years to become more popular among ‘open water’ divers with the development of more appropriate equipment and a better understanding of its application both in recreational and technical diving. Freedom, comfort and safety are only some of the key features you will get to enjoy ‘sliding’ underwater. Beyond the obvious comfort Sidemount provides allowing anyone to manage cylinders independently both in and out of the water (including for those who suffer from back problems), Sidemount increases potentially the available gas reserves so as to enjoy both longer and safer dives. The redundancy and ease of access to the valves also provides additional safety in case of equipment failure. A proper streamlined and snug Sidemount configuration set up definitely enhances hydrodynamics making buoyancy control, trim management and propulsion techniques more efficient and easier to learn than on backmount configurations. Regardless of your body positioning, you enjoy a better balance and control of your center of gravity. Sidemounting is all about details and can hardly be achieved properly by learning only from videos or other social networks. How many ‘Sidemount’ divers will you spot underwater with cylinders simply hanging upwards/downwards, harnesses and hoses dangling all around as many potential entanglement hazards or using inappropriate entrance/exit techniques, … ? 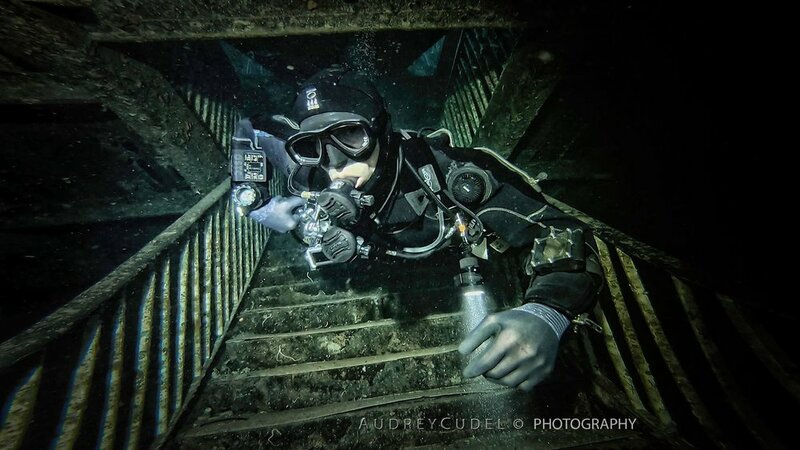 Mastering Sidemount Essentials requires proper equipment, set up and understanding of all Sidemount techniques. The key to proper Sidemount diving is to seek proper training and consultancy. After years of Sidemount practice and training and as part of the official Sidemount Essentials Instructors, I am dedicated to sharing my expertise to develop safer and skilled Sidemount divers. The Sidemount Diver and Sidemount Essentials courses aim at introducing you to all aspects of Sidemount diving together with securing your master skills as a safe diver for any configuration you might be interested in : buoyancy, trim, stability and propulsion techniques. The training is open to all divers from Open Water to Technical experienced divers. Instead of following a random organisation syllabus and based on your current diving experience, we assess what you are aiming for as a diver, we focus on the skills which are more relevant for your needs and work together on developing and securing your skills. Shall you want/need a certification card, so be it. Shall you aim at improving your current skills set as a diver and/or Sidemount diver, we will proceed in the same way. Your Sidemount journey starts with proper equipment set up review from Sidemount system up to Sidemount regulators, type of cylinders, cylinders rigging and type of fins . Shall you already own part or all of the equipment, we will work together on making the best out of it. Shall you seek advice for future equipment purchases, you will be able to test appropriate and related Sidemount equipment during your training. Cold water diver using drysuit, dry gloves, heating system? Suffering from back problems? Tiny woman not fitting in most of the traditional dive equipment? Struggling with ladders or boat entrances? … Sidemount is flexible enough to answer any of your concerns. Each water session is filmed and preceded by detailed briefing, dry land workshops, configuration adjustment based on former video analysis so as to make the best out of your training session. It is definitely recommended that you join in your regular ‘Home configuration’ shall it involve drysuit, dry gloves, dry suit cylinder, canister lights or heating systems, …. for us to ensure we are covering all aspects of your diving. During training, we make sure to gradually challenge entrances/exits options for you to feel comfortable with any future dive you might make. Beyond Sidemount itself, our target is to make the most effective and safe diver out the training no matter if you intend to use only Sidemount or other configurations as well in the future. The training journey itself matters more than a certification card. Shall you require one, we will cover all standards and beyond.